Where glamping meets extreme camping... and going 'green' won't compromise comfort. 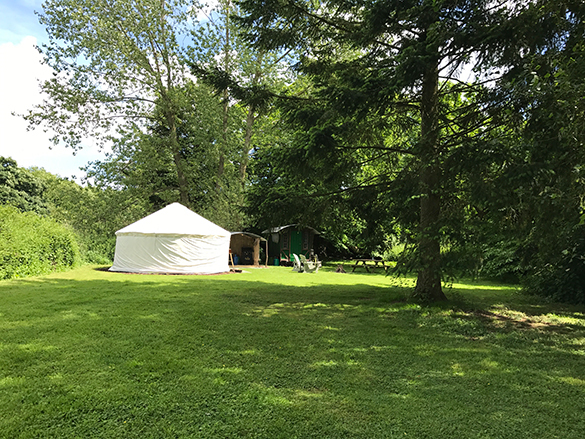 Forget conventional touring/static caravan/campsites - stay in our 16ft (5metre) handbuilt Broadland Yurt tucked into a sunny glade alongside 450 year-old Sweet Chestnut trees, surrounded by farmland. 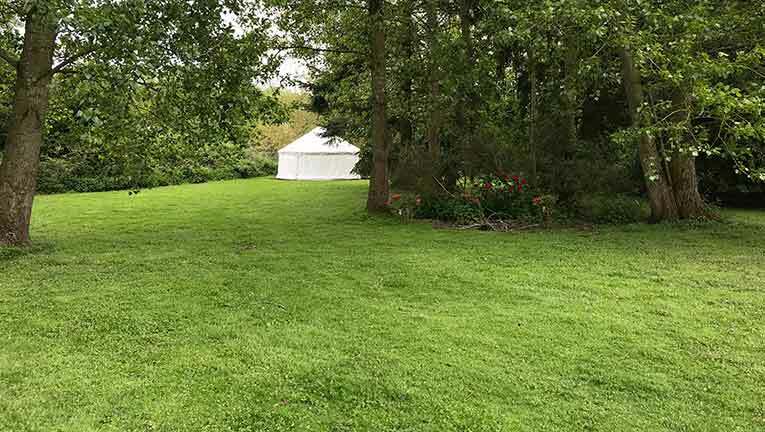 You're placed with easy equal access to the Broads, the Coast and Norwich and about 8 or 9 miles from each, in our 7 acre wildlife garden - and you are our sole clients for the duration of your stay, whether for a weekend or a week or two. 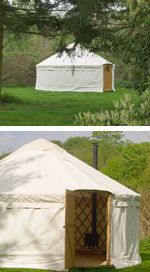 We have just the one Yurt. This is not a conventional campsite. 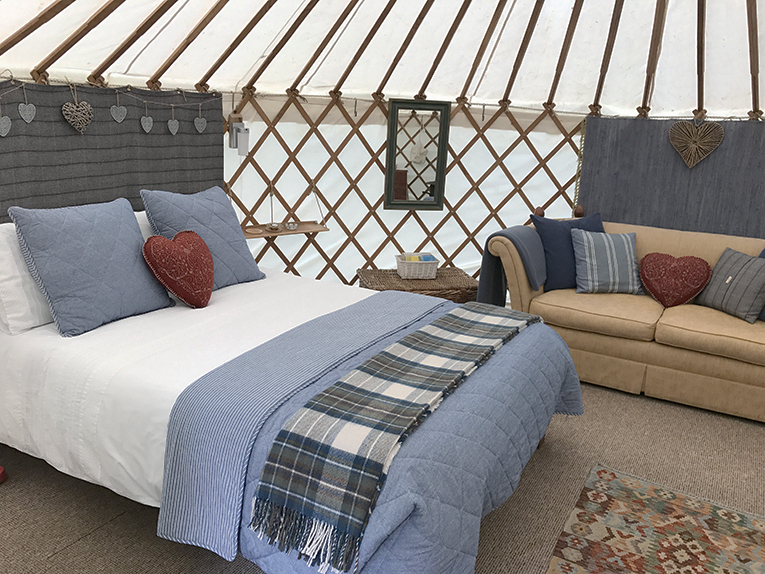 We provide the Yurt (built over a carpeted, raised wooden floor) with an oak, lockable door: a double bed with duvet and sheets, pillows and pillowcases: a sofa and two armchairs inside, glasses, cutlery and crockery for two with a selection of kitchen kit, side table and kitchen prep/storage station. Outside, near the firepit, there are two Adirondack chairs for lounging: a lavarock bbq plus two Calor rings and a grill. There are pans and bbq tools too. 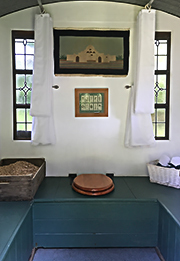 You have exclusive use of our Shepherd's Hut "Cludgey" (pictured right) alongside - with shower, hand basin and toilet. 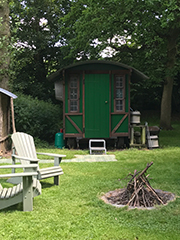 You can wander into the wood and collect deadwood for the firepit if you fancy a fireside evening under the stars, though you can remove the central roofcap and get much the same view from the yurt itself. Incidentally, we have very little light pollution here: under clear skies, you'll see stars like you've never seen before if you live in town. The Yurt has 12v lighting via solar cells and battery storage. 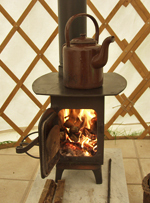 It also has a sweet little woodburner stove, with logs provided in case the evenings are chilly. You can drive over the grass right up to your door if you want to. You'll bring your own towels, your own food/drink in a coolbox and, hopefully, the fine weather. Please bring your own bottled water for drinking - although we always put some in for a start. There is a full size domestic fridge and power for charging phones and laptops. We have good pubs around, the best just about walkable. 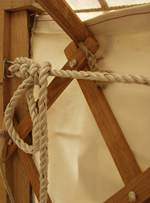 Check out our niche craft courses - you might like to have your Yurt experience built around attending one of those... or we'll leave you absolutely alone. You'll have gathered the Yurt is for two, comfortably. If you want to share with more it may be possible - but will probably require the removal of the bed and you to provide your own beds/bedding. Be sure to ask prior to booking. 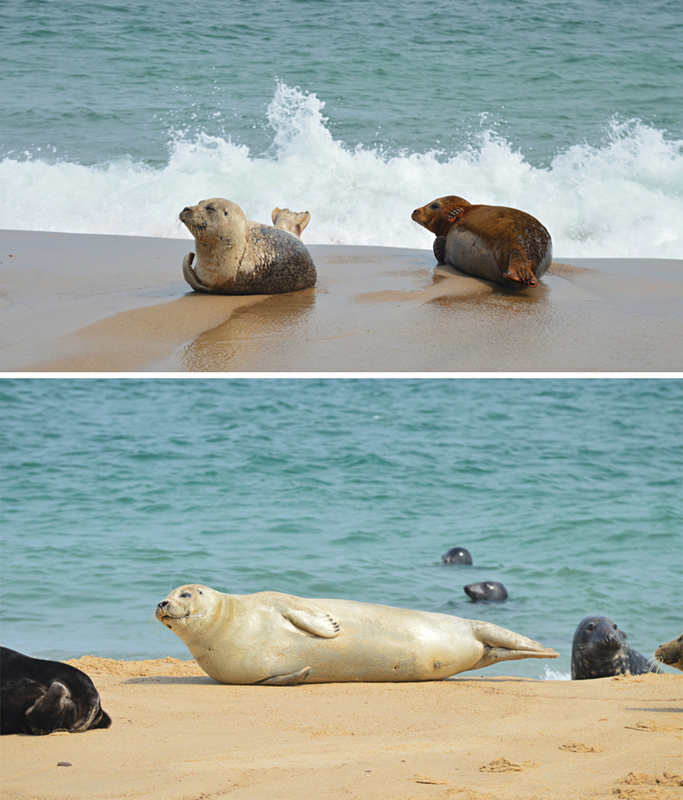 BELOW: Amazing pictures taken by one of our guests of the Seals at Horsey. This makes for a fabulous day out from here. Wonderful beach with playful seals that "pup" here during the winter months. The summer months you just never know what you're going to find them up to.